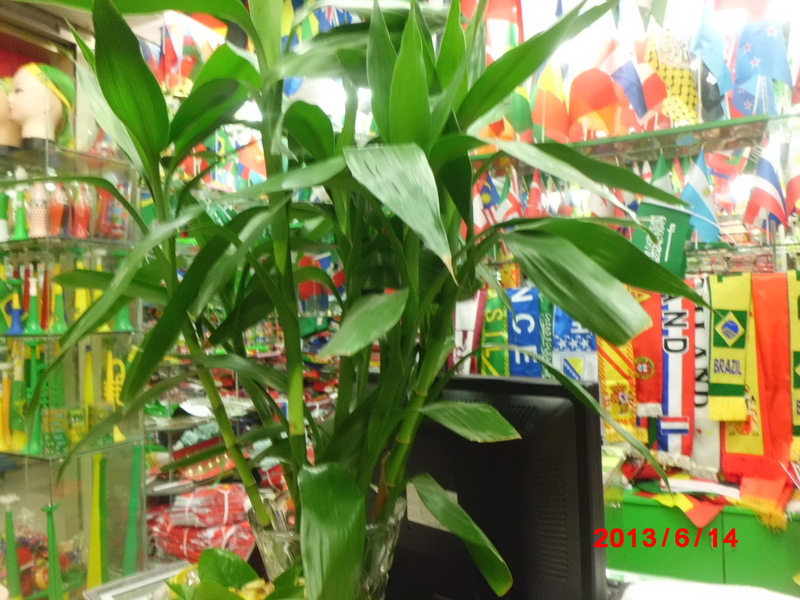 Over 1000 shops are selling artificial flowers and artificial flowers accessories there. The capacity of a booth is about 4*4*3 meters. It always gains two or three shop assistants, and displays samples as many as they could. Price has a range from cents to hundreds dollars. Minimum Oder Quantity is accepted from dozens to hundreds. Now it is not to easy to get a free sample from the shop owner. They always have 1 sample for each design. But a few are willing to offer a sample for the customers’ future orders. And luckily you can find retail ones. Buying a retail one is much more expensive than the wholesales one. All assistants in the market have no difficulties to quote price with calculators. Some of them can speak simple English. So if you want every single useful information, it is reasonable to have a interpreter. Some clients reflected when they went to Yiwu Artificial Flowers Market by themselves. They came across many assistant treated them with no warm. Here we want to warn you that you’d better not expect warm services each time, especially when the order is less than the minimum order quantity (MOQ). So it will be an embarrassing situation. What we can offer is to be a good Yiwu interpreting service to you. And when you come across bad services, we will be the bridge for you to eliminate this sort of embarrassing situations. The services we offer is first rate. We can promise that.